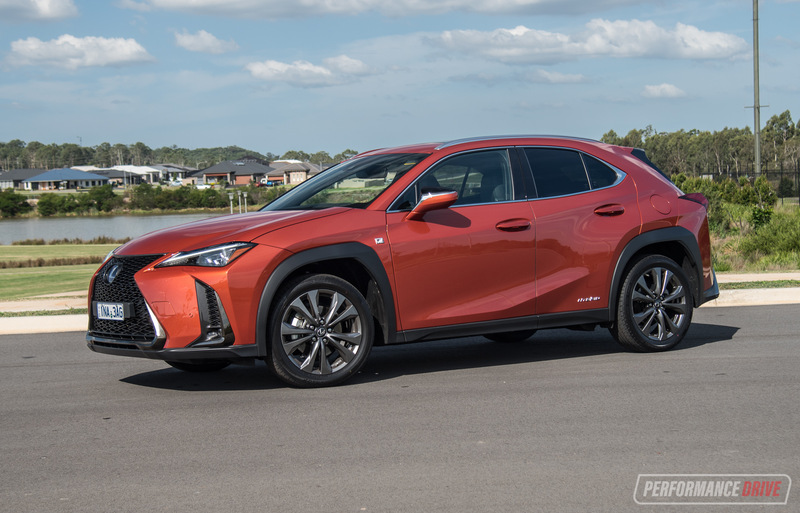 Toyota and Lexus are notorious for overlapping products to cover more of the market. 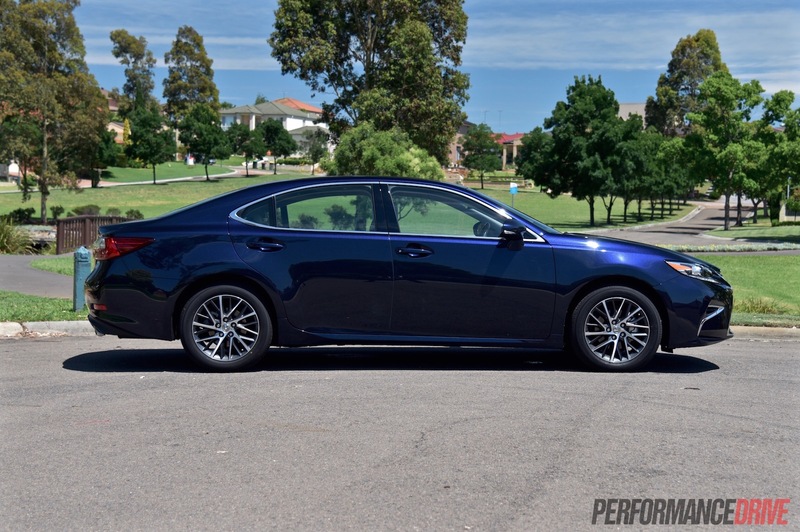 As is the case with the 2016 Lexus ES, which steps closely in the tracks of the smaller IS sedan and slightly larger GS sedan. 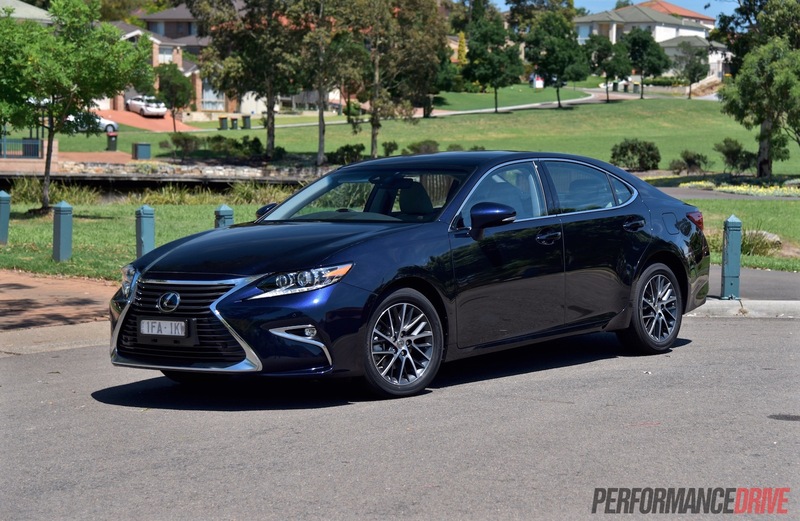 According to VFACTS the ES competes in the same market space as the Lexus IS. However, even though the dimensions and engine packages might be similar, they are actually two very different vehicles. 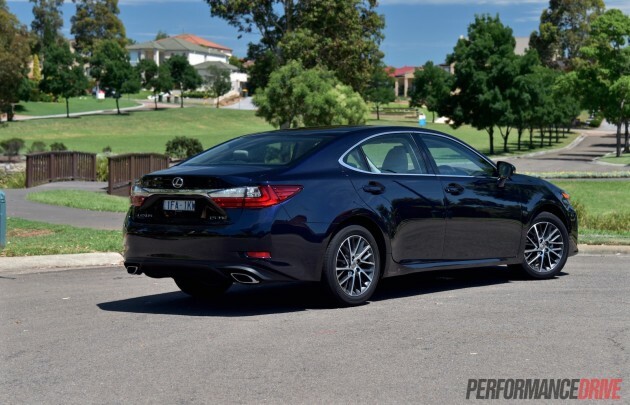 The IS is a tighter and sportier rear-wheel drive sedan, while the ES is a softer and significantly more luxurious front-wheel drive model clearly focused at the more senior demographic, and those that enjoy being chauffeured in the back seat. 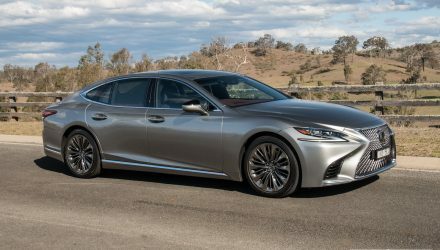 Lexus has sharpened up the ES range for 2015-2016 so that the model is more stylish and uniform with the company’s latest design language. 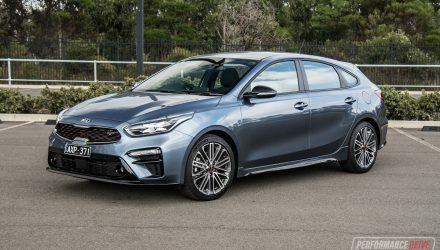 The update is most noticeable at the front, with the striking spindle grille and sophisticated headlights with LED underscores. Just two variants of the new ES are available in Australia; the ES 350 (as tested) and the ES 300h hybrid. 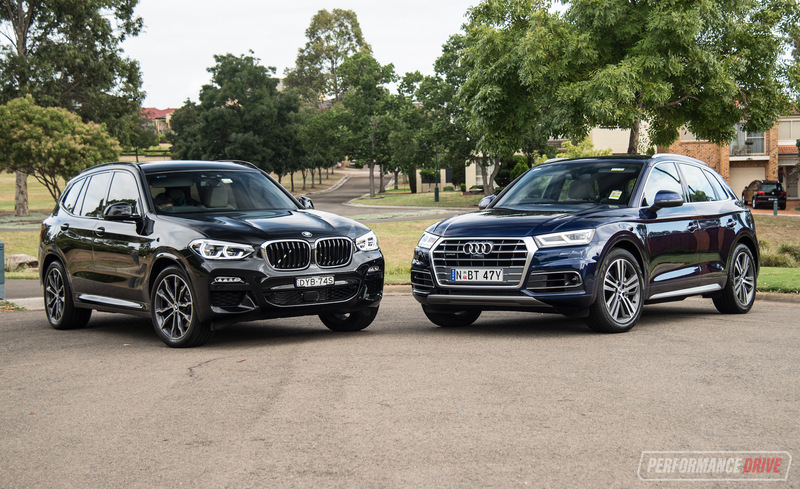 Both are available in either Luxury or Sports Luxury trim. 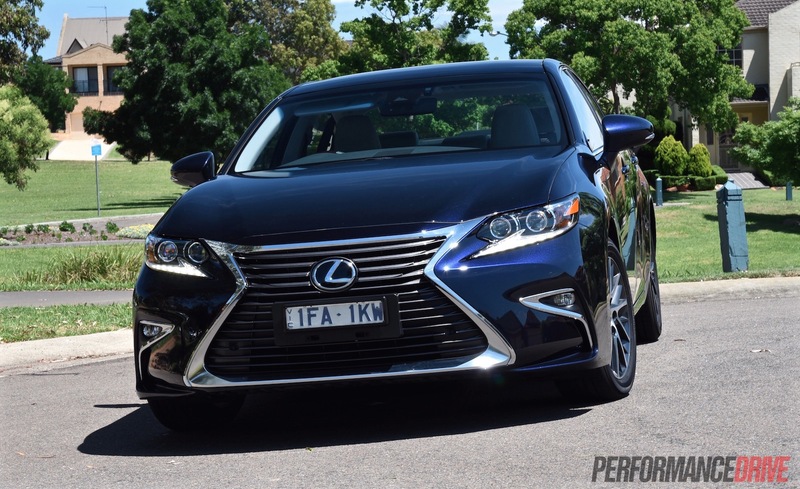 We’re testing the ES 350 Sports Luxury, which retains the 204kW 3.5-litre V6 from last year’s model. 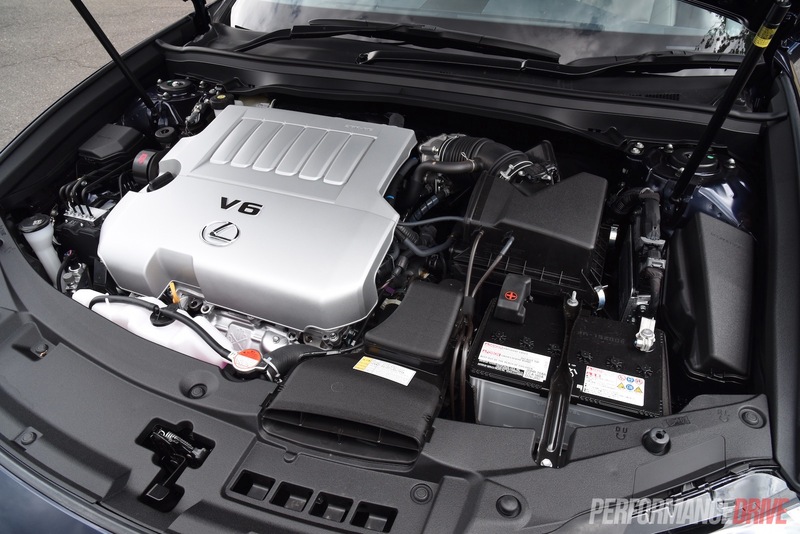 Prices start at $62,500 for the ES 350 Luxury, and $71,500 for this Sports Luxury version. 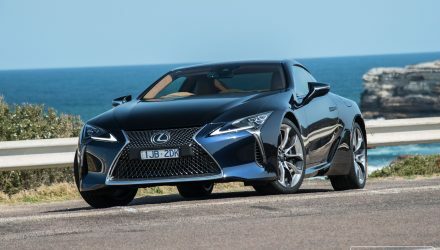 In this colour scheme with the dark “Deep Blue” exterior and bone white leather upholstery (one of three trim colour options), the ES 350 feels and looks like a super-expensive product. 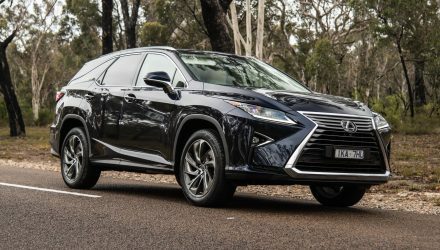 It oozes comfort and class, especially with the double sunroof option (a Lexus first in Australia) spotlighting the cabin like an exquisite display case. The cabin is very low, which means you do have to crouch down to get inside and use your leg muscles to protrude back up and out. Once you’re in though the big cushy seats are as relaxing as your armchairs at home, and often cause you to make that validating “arrh” sound as you sit down. 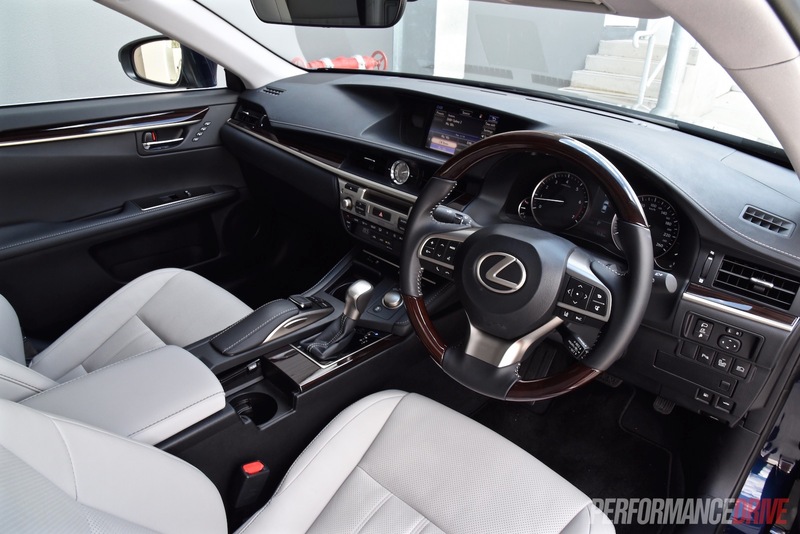 Lexus, as always, has used extremely soft and supple leather too, adding to the calm cabin experience. While some of the German rivals might offer a more sophisticated or sporty interior setting, nothing compares to the ES Sports Luxury in terms of comfort. Every time you get in an enormous flood of relaxation flows through your body, like you’ve just entered a spa and Barry White is playing softly on the speakers. In fact, after a short journey we’d be betting your heartbeat will be lower when you reach you destination. There does seem to be limited steering column adjustment, with not enough reach movement in our opinion. It can be hard to find the absolute perfect driving position. Nonetheless, it is very comfortable overall. 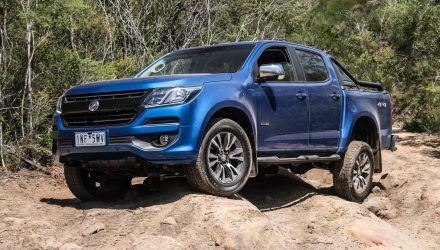 You can sit quite low if you want to – almost sportscar low – and the sheer room and open environment means it is perhaps the least-claustrophobic cabin in the class. In the back there is a massive amount of legroom, with a classy rear console for separate climate settings that drops down out of the middle seat backrest. 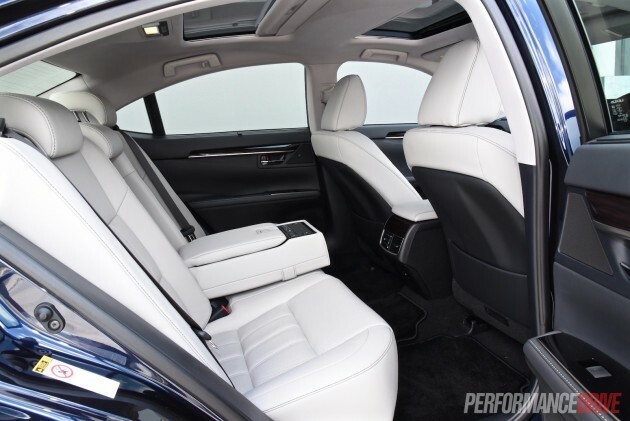 With the double sunroof, heated rear seats, and an electric rear windscreen blind, passengers in the back are really pampered; it is one of those rare cars that you would actually enjoy a nice trip sitting in the back. 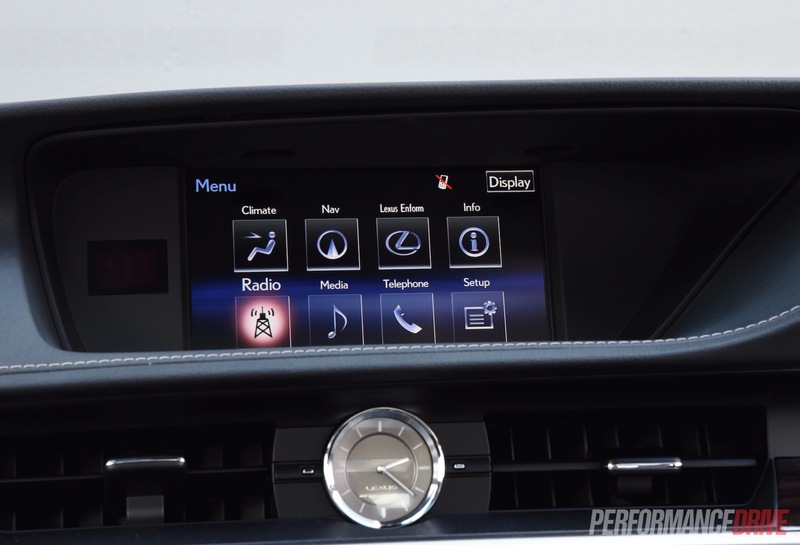 What we love most about the ES interior though is the attention to detail and whisper-quiet atmosphere. 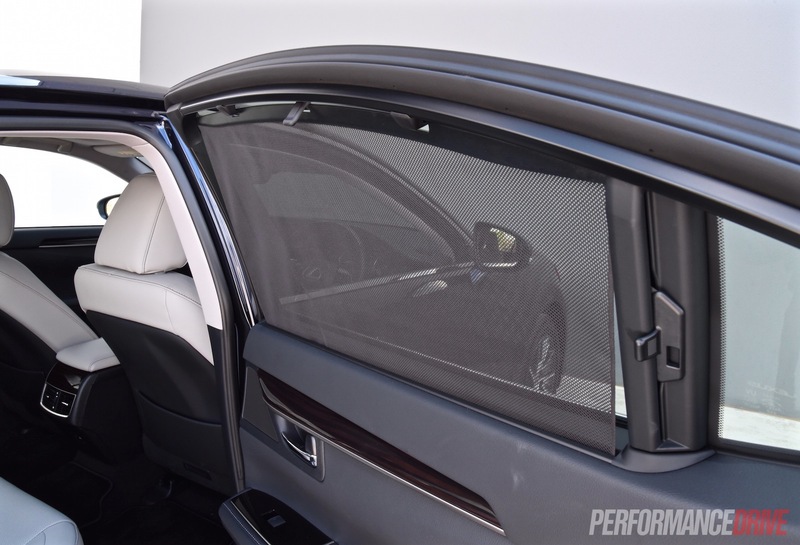 The power windows near-silently zip up and slow at the top for a nice smooth insertion into the door recces. The overhead sunglasses holder and the centre console cupholder lid open elegantly, and even the indicators quietly ticktock. 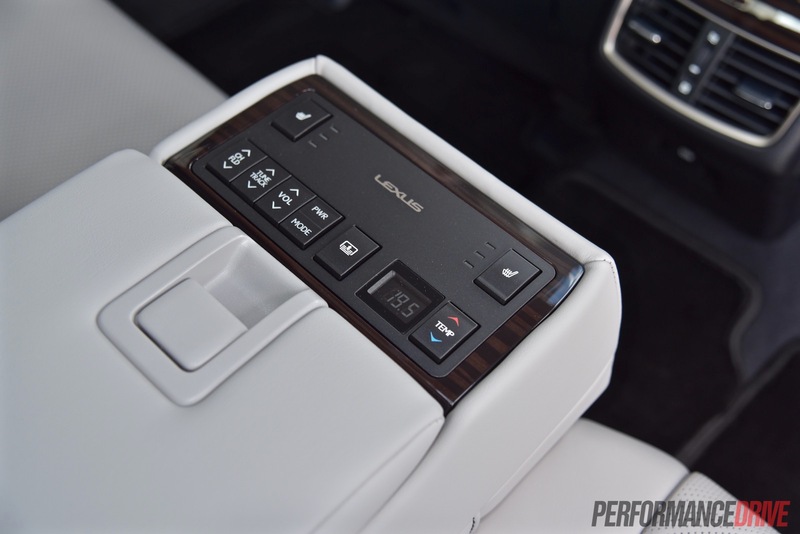 As for standard features, the Sports Luxury comes with everything you could need and expect for a $70k vehicle. 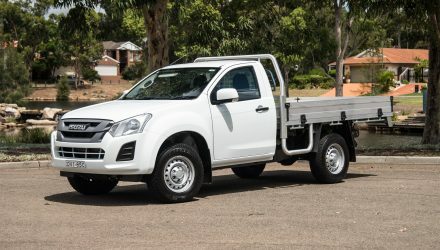 You get LED headlights with auto high-beam dipping, radar cruise control, tyre pressure sensors, rear door pull-out blinds, heated and cooled front seats, lane departure warning, 10 airbags, and a comprehensive on-board infotainment system with sat-nav, digital radio and a 15-speaker stereo. 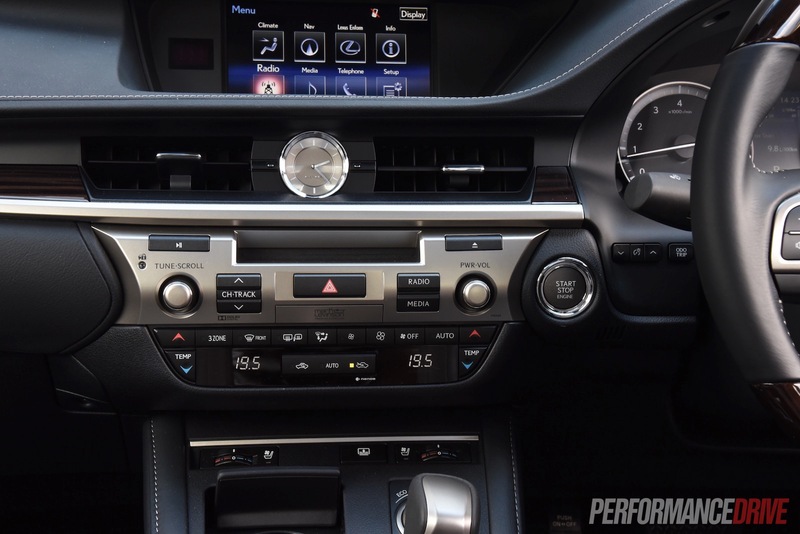 Lexus stereo units haven’t been the best in recent years, enlisting Mark Levison brand equipment (a subsidiary of Harman), but the latest unit in the ES is fantastic, providing exceptionally clear bass and crisp treble and mid tones. It doesn’t handle as focused as the German rivals but it is easily the most relaxing in terms of ride, steering sensitivity and road manners. 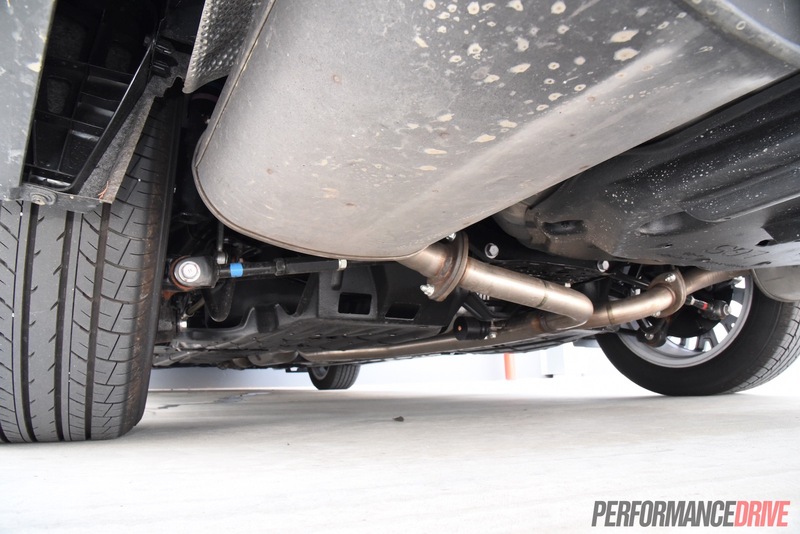 The super soft and cushy suspension rolls over and seemingly irons out road imperfections. It’s like driving a luxury liner through custard. This is a good thing as it matches the calm mood of the interior perfectly. 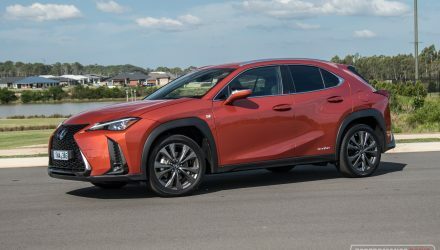 Surprisingly, it’s no slouch when it comes to acceleration, despite the sedate nature of the cabin and ride. 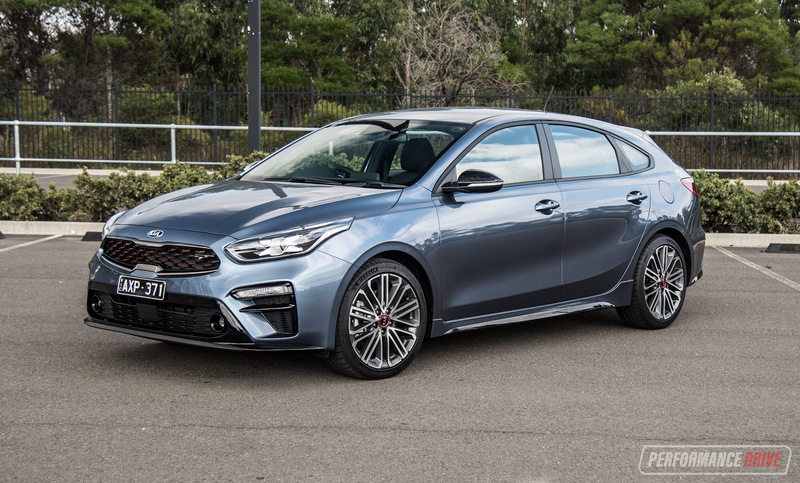 With 204kW from the 3.5-litre V6, it’s actually one of the most powerful front-wheel drive cars on the market, and as no surprise one of the quickest front-wheel drive vehicles currently on sale in Australia across the 0-100km/h sprint. We timed an easy 6.6 seconds. With better tyres we have no doubt it could achieve quicker. As for those tyres, they’re mounted on narrow (17×7.0 inch) alloy wheels. Aside from the design of the alloys, which to us look like secondhand car-yard specials, the tyres measure just 215/50. These are far too narrow for a vehicle of this size and with this output. Not only that, the tyre compound is eco-oriented, which means they’re good for economy but fairly ordinary for anything else. 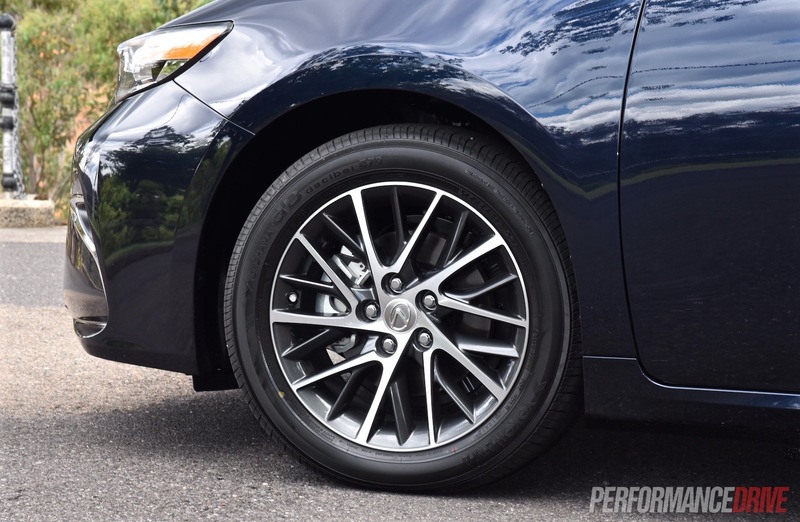 These do tarnish the handling ability and overall cross country performance. 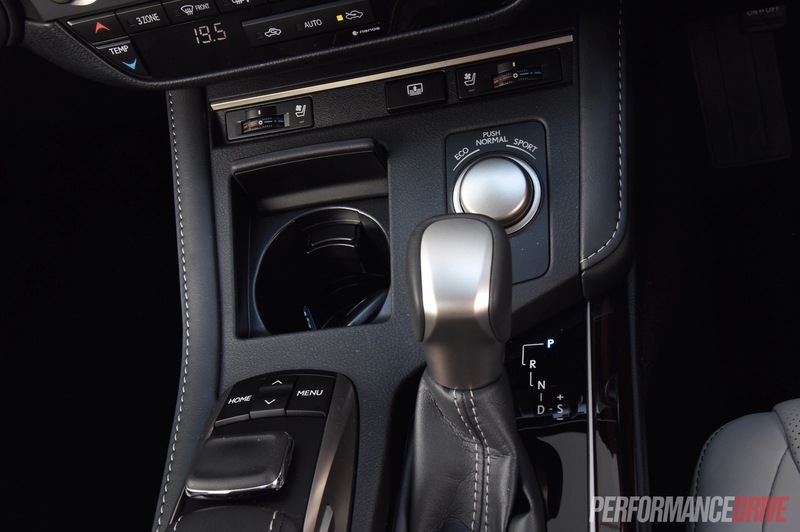 Steering feel is formal and uninspiring. Not surprising given that it shares the Toyota K platform with perhaps the second most conservative sedan on the market behind the Camry; the Toyota Aurion. We wouldn’t go as far as saying it’s not enjoyable to thread through a set of s-bends, but it’s certainly not a vehicle you want to wake up early on a Sunday morning just to do so. Its natural habitat is cruising, effortlessly on the highway. And for that it is sublime. 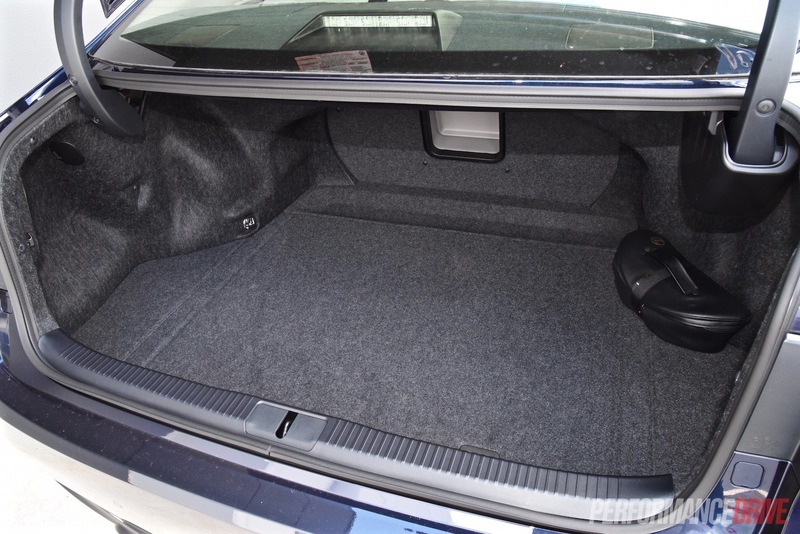 At 1625kg tare mass it is relatively light for a large luxury sedan. This means you don’t have to work that V6 very hard at all to make progress. 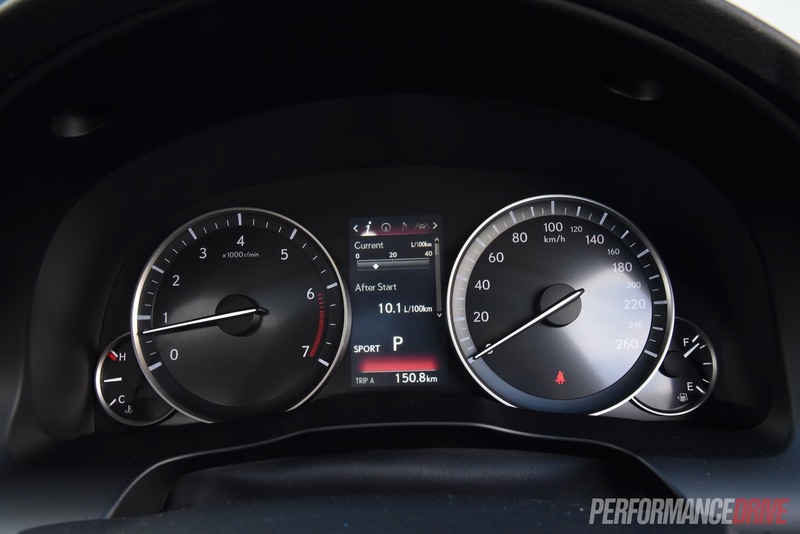 Australian Design Rules quotes an official average fuel consumption of 9.5L/100km. In the real world, we recorded 9.8L/100km. 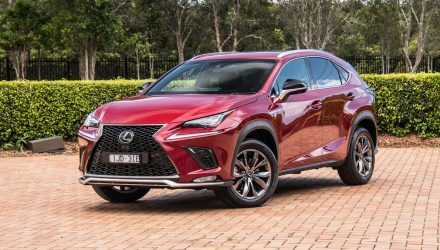 We’d put this proximity to the comparatively low weight and the fact that you only need to breathe on the throttle for daily driving conditions. The ES 350 makes us look forward to retirement. 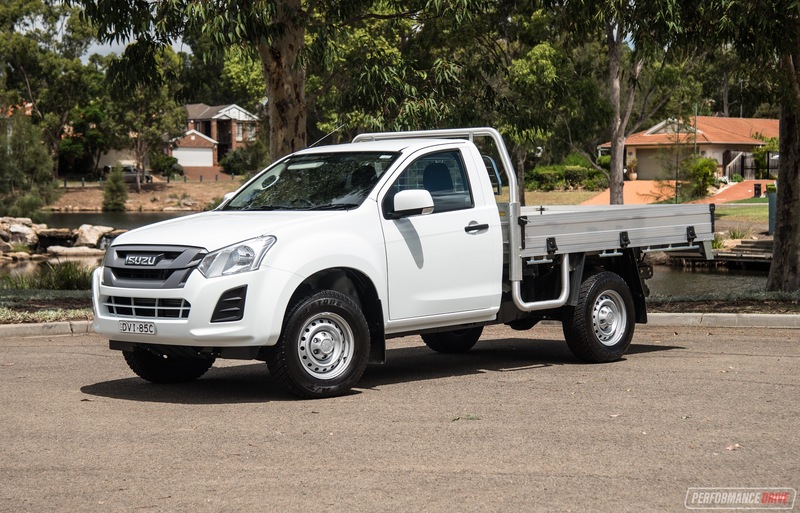 It’s a vehicle that will definitely be on our buying list when running is no longer a possible means of transport. 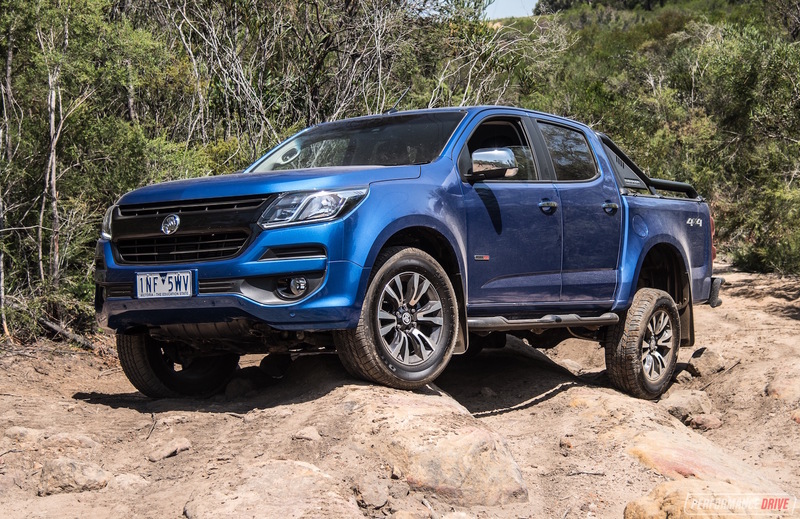 With the 2016 update it does possess a degree of sporty appeal, and there’s no denying the luxury and attention to detail on offer here. 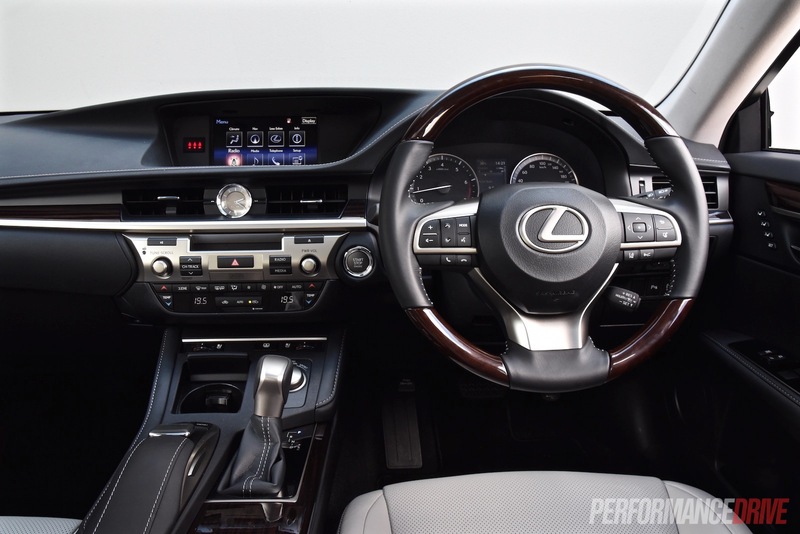 But, unless you want absolute comfort over every other criteria, we’d suggest you check out the exciting IS 200t or the more stimulating rear-wheel drive GS 350.